Science has proven that water is one of the essential sustenance sources of human health. However, water is not essential until it is pure and void of contaminants for human health. Only pure water will aid the easy metabolism of fats in the body and prevents the skin from sagging. But a clean and 100% drinkable water could be a mirage until you adopt some techniques. And that is using water filters to get rid of germs, particles, micro-organisms, toxins, and contaminants in the water. 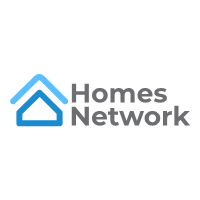 In this article, we are going to expose you to all you need to know about the two leading water filters in the market and how you can easily choose the best of the choices anytime you need one. 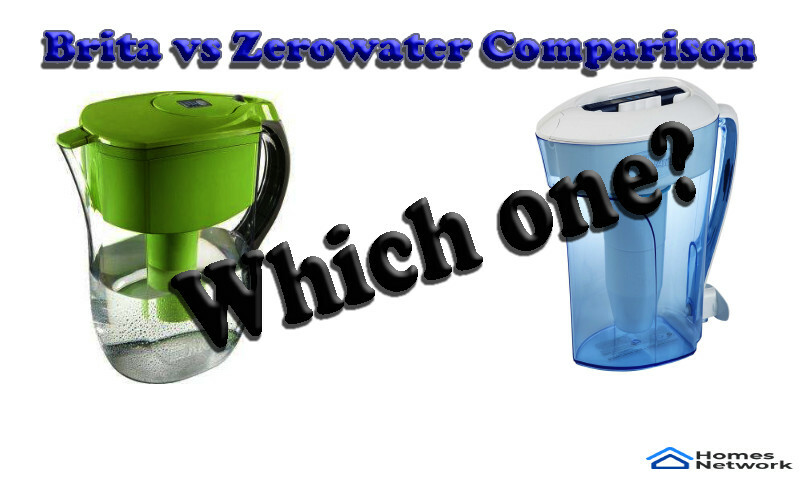 Brita vs Zero Water are two of the best choices for you because they are suitable for your health. With the capacity of being able to take up to 10 cups of water at a time, you rest assured that your thirst and your families will be quenched all at once. The product is also designed to lower the taste of cadmium, mercury, and chlorine in your water. The BPA-free feature of the filter has also made it a household choice in the markets. 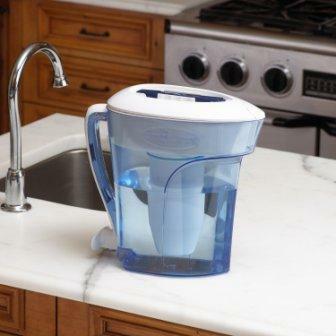 ZeroWater pitcher filter is a quality-birthed product with a dual-ion exchange filtration system. It can hold up to 10 cups of water at a go. To the lowest level, ZeroWater gets rid of Lead and Chromium ions in your water, reduces up to 99% fluorides present in your water to give you a healthy and drinkable. 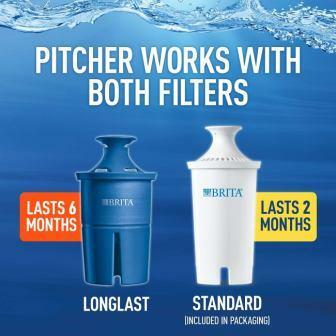 Brita water filters provide you with water treatment by removing chlorine, cadmium, copper and offer impurities present in the water to give you quality and drinkable water. The product is equipped with a built-in mesh screen through which water passes. The screen, however, prevents black flecks. Water moves from the mesh screen through the carbon filter, to the region where ion exchange beads are located in the filter. The function of the bead is to release sodium ions into the water and trap magnesium and calcium ions originally present in the water. This process is called the Water softening process. The activated carbon granules in the filter act like a sponge to reduce the taste and color if chlorine in the water. The ion exchange resin then captures cadmium, zinc, and copper in the water. This series of processes leads you to healthier and impurity-free water, good for your health. ZeroWater filter has a distinct method of filtering virtually all dissolved solids from your water. The filtration technology adopted by the manufacturer of ZeroWater has five layers or filtration stages. In the first layer, Chlorine is removed from the water via the filter’s activated carbon and alloys enriched in oxidation-reduction. Chlorine is accustomed to water from the tap. At the ion exchange stage, all dissolved solids from the public water system or the ones leached into your water from pipes such as Zinc, Lead, Aluminum, and nitrates are filtered at about 99% efficiency rate. In the next three stages, other impurities that are still present in the water to give you the purest tasting and healthy drinking water. Brita pitcher holds 10 cups of water that can satisfy the thirst of a family or a considerable number of people at a time. 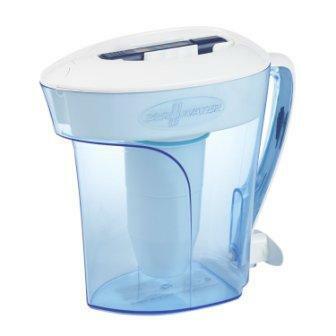 ZeroWater 10-cup capacity has a capacity for 8 pitcher cups and 2 cups reserve. The capacity is enough to quench a family’s thirst at a go. Water flows into the filter via the two mesh screens where large and small particle contaminants are removed. The first mesh screen gets rid of large particles such as sand and dirt while the second screen gets rid of small contaminants. Then, the water flows into ion exchange beads to soften the water. The ZeroWater pitcher is the only pour-through filter pitcher with NSF certification in the market. It is certified to be a good filter for reducing lead and chromium contents in water. It has struck one-hand push to dispense spout that fills any bottle or cup. The product also features a convenient space-saving design. In addition to these amazing qualities, ZeroWater pitcher is the first in its league to have a sealed lid and a reservoir that together allows easy pouring offer water that has been filtered without spilling the remaining volume of water in the reservoir. It has a TDS ( total dissolved solids) indicator that informs a user when the need to change the filter is ripe enough. Brita pitcher filter works very efficiently. It filters water quickly to get rid of contaminants that are capable to render your body a home of germs and sickness. It filters about 80% of lead and copper in water effectively. With a Brita filter, you are guaranteed healthy and perfect drinkable water. ZeroWater filters are very efficient and of quality. The efficiency of ZeroWater is greater than that of Brita pitcher due to the 5-stage filtering process of ZeroWater. The filter provides you with drinkable water after filtration has taken place. Its efficiency is so broad in quality that ZeroWater pitchers reduce 99% of fluoride in your drinking water. Generally, Brita filters do not last long. However, their durability depends on how often you use them. The filters are to be changed after you have filtered a total volume of 40 gallons of water or preferably at two months interval. You keep changing the filter each time the need arises because the product comes with a single filter cartridge. Interesting enough, the filter has a sensor that notifies you when you should replace the cartridge. The yellow light signifies when the maximum capacity is approached and finally turns on a red signal when you finally reach maximum capacity. ZeroWater is a durable product. Although, the level of particles in the water determines the number of gallons that can be produced per filter. Its durability has made it more preferable a choice over other 10-cup capacity pitchers. However, the filter requires being changed every 3-5 months. The two leading pitchers ZeroWater and Brita are in a lot of ways similar. 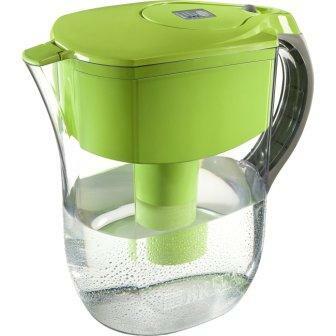 For example, both pitchers are 10-cup capacity and both have NSF certification features. However, some differences exist between them. In the market, Brita is a bit cheaper than ZeroWater pitcher. And the filtration process takes a longer time in ZeroWater than in Brita. In all of these, reports from international research communities, including the NSF international, have attested to the better performance of ZeroWater against Brita in terms of removal of virtually all harmful contaminants from tap water. While Brita has a two-stage activated carbon filtration system, ZeroWater uses a five-stage filtration system. Ergonomically, the two water filter pitchers differ. It is important that a water pitcher should be easy to hold and very easy to pour from, but Brita has a deficiency in this. Brita looks somewhat awkward in design, it is not easy to pour from the pitcher neither is it easy to hold. It also has an unbalanced weight, particularly in conjunction with its handle. As for ZeroWater, the product is easier to pour water from and also very easy to hold. The handle is very easy to hold. It is very comfortable in the hands. Averagely, Brita filters water at a range of the 40s per cup while it takes ZeroWater an average of 1m 50s to filter a cup of water.Both water pitcher filter has a recycling program that helps prevent many unwanted materials from ending up in a landfill. ZeroWater has a spout at the base of the pitcher. The spout makes pouring water from the pitcher into a glass very easy, without taking the pitcher completely out of a refrigerator. This is why it is suitable for young children and elderly ones who have a wrist strength problem. Some users of ZeroWater alleged that the product is hard to clean and that it leaves water with a fishy taste after filtration. Some even protested that it does have a sour taste over time. 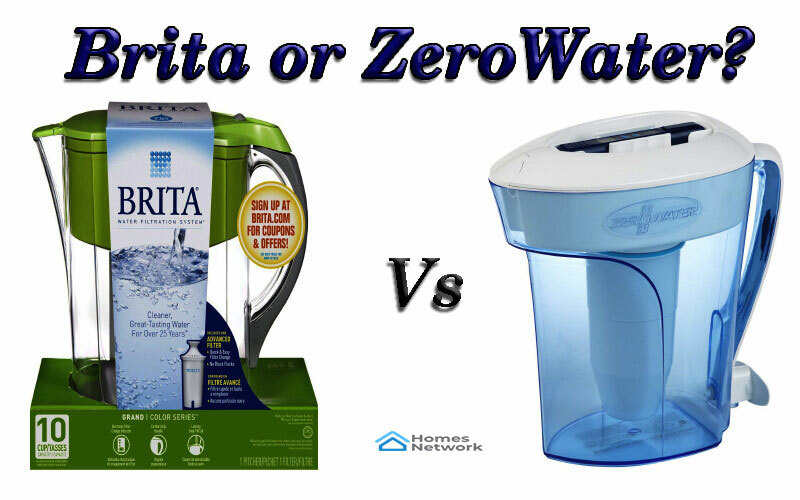 A laboratory test, however, affirmed that Brita has a better taste than ZeroWater. With all their qualities considered, ZeroWater seems to be a better choice. The verdict is based in the filtration technology and ergonomy of the filter. 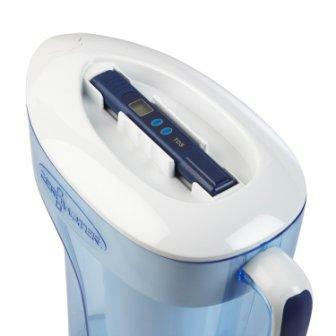 Brita is made of lower-quality technological process. 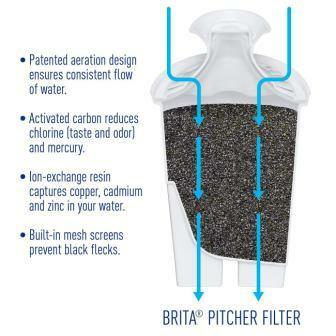 Brita uses a less-effective and less-efficient water filter technology. It filters water more quickly than ZeroWater. So, if you want an inexpensive water pitcher, Brita is the best choice to consider. However, if you don’t mind spending more money on a pitcher that has a reverse-osmosis system, ZeroWater is the best choice. Hamilton Beach 33967 vs 33969 – Which One To Buy? Omega J8008C vs J8006HDS: Which One To Buy? Ninja BL682 vs BL770: Which One To Buy?